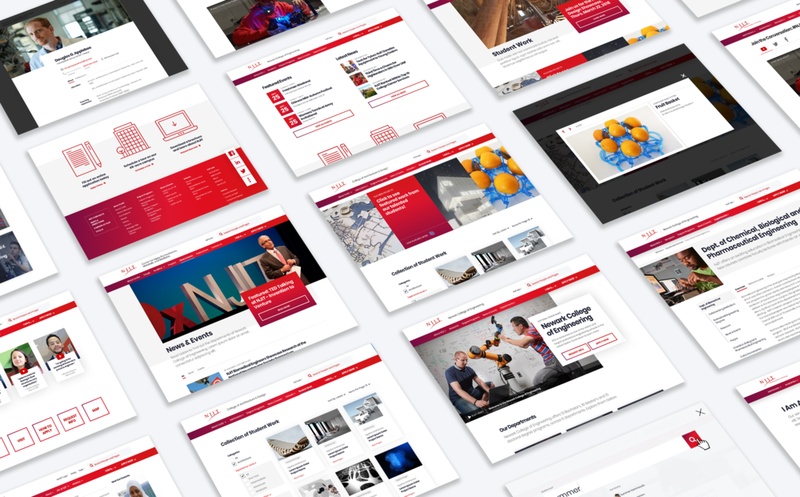 This project was a responsive redesign of the New Jersey Institute of technology website, a top technical school in the nation. On this project I served the role of creative director, responsible for envisioning and executing the visual design of the site. I created two creative directions exploring how the NJIT brand could be translated and elevated in a modern way. Direction A used accented neutrals against an innovative layout, landing on the slightly more formal academic boundary of the brand. Direction B used punchy gradients and bold typography, taking a fresh, modern and fun approach. Once the direction was chosen, it was refined and applied to create a component based design system, with versatile building blocks that could be applied across different pages.